When you live in the Schenectady, NY area, you know that there’s no getting around having to heat your home once the colder months settle in. We experience a sometimes-harsh winter season, and people rely on their furnaces to keep them warm when the temperatures outside are freezing. Finding the best prices on oil isn’t always easy, and it’s important for you to find fuel oil that both helps you maintain your utility budget and keeps your equipment running efficiently. And, getting the best possible fuel prices so that you and your family can stay comfortable, affordably, is a top priority. That’s why Family Danz is committed to providing you with the best fuel oil at the best prices. We post today’s oil prices right on the top of every page of our website, so that you’ll always know our current price, no questions asked. Family Danz is known throughout the Schenectady, NY area as a name you can trust for your home comfort needs. But did you know that our company also takes great pride in providing local businesses and residences with premium fuels? At Family Danz, we strive to ensure our customers that the cost of the fuel we offer is competitive with today’s oil prices in Schenectady, NY, so that you always are getting the best possible price for your budget. When you’re our customer, we’ll provide you with a delivery price guarantee – our premium grade fuel is provided at the lowest possible price. We’re confident that our fuel is priced the best, but if you find a better price out there, we’ll meet it. Today’s oil prices right on our website, so you know we the best prices in Schenectady, NY. With the current economy, today’s oil prices are unpredictable at best and are higher than we’d like. At Family Danz, we’re very clear with our customers when it comes to the cost of our fuels. We believe in being up front because like you, we know it can be expensive to keep your home warm and comfortable throughout the winter months. You can trust us to offer the best fuel prices in the Schenectady, NY area, and to help you get the fuel you need for your home or business. To make things as convenient as possible for you, we can set up prepayment on scheduled deliveries with you. Or, we can help you choose a fuel oil budget plan that’s right for your home’s individual energy needs, as well as your wallet. 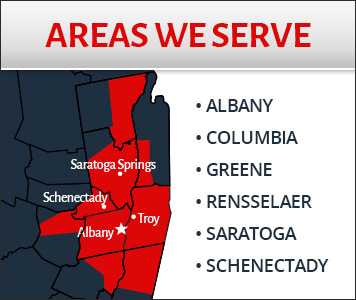 By choosing Family Danz to meet the fuel oil needs of your Schenectady, NY home or business, you’re choosing a company that works hard to provide customers with the best fuels at oil prices that save you money. We’re pleased to deliver fuel oil, kerosene and Bioheat. Additionally, we’re happy to supply on-road and off-road diesel to farms, construction companies, excavators and many other commercial accounts. We’ll be happy to provide with automatic delivery at no additional charge, or if you prefer to call us when you need a fuel oil delivery, we will also be happy to accommodate you. We recommend that you kindly contact our office when your tank gauge is between a half and a quarter full, so that we can schedule delivery without the risk of you running out of fuel. Today’s oil prices demand a company that can meet the fuel needs of your Schenectady, NY home or business. Don’t let the cost of today’s oil prices keep you from getting the fuel you need – choose a trustworthy, reliable fuel oil delivery company conveniently located the Schenectady, NY area to help you with your home and business heating oil needs. Give Family Danz Heating & Cooling a call today at (518) 427-8685 to find out more about how choosing us for your fuel needs can help you stay warm all winter long – without breaking the bank!